Some people have a level of laziness that makes them comparable to being a Snorlax trapped in a human’s body. Spending a lifetime in prison is not something any reasonable person would want, transpokémon or not, but life in a cell has a its perks for this rare type of the extremely lazy. Their home would be the size of closet meaning little time or energy is ever spent on housework. The bed and toilet are in close enough proximity to each other leaving bed when nature calls requires no energy, plus you have the freedom to sleep all day while being provided three meals a day. This is our introduction to Fang, the main protagonist in Fairy Fencer F: Advent Dark Force, an updated version of the PS3 game with a slightly shorter title. At the beginning of this adventure, Fang finds himself into a bit of trouble and his Fairy Eryn tries to spring him from jail. Those were some of the arguments he presented in favor of staying locked up, much to Eryn’s annoyance. The rest of the crew Fang accumulates around himself are equally matching of the knight in shining armor archetype as our slacker with a sword. Eryn is an incessant nag, Tiara is prissy and stuck up, but has a closet freaky side, Harley is researching fairies, but seems to get a little too excited with getting hands on experience with her subjects (plus her fairy Bahus has to remind her to wear underwear and keep her clothing on) and Sherman seems like the only real gallant one among them, so the fact he travels with this group of weirdos makes him suspect as well. In a nutshell, this team of heroes has more in common with the characters of It’s Always Sunny in Philadelphia than the Knights of the Round Table. How this group of miscreants came together and went adventuring together seems like it could only happen as a result of an unlikely course of events, but since this is a JRPG, they have that covered. Long ago, the Goddess and Vile God had a little disagreement, and by little I mean cataclysmic. As is divine tradition, these deities did not actually engage in combat themselves, but instead created powerful weapons called Furies. Eventually the two feuding forces were sealed away and some leftover Furies lay scattered throughout the modern world, able to be wielded by warriors known as Fencers. Each Fury has a Fairy attached to it and the Fury Fang acquires comes with a Fairy named Eryn, who loves giving lectures at every opportunity. Fang encounters another Fencer named Tiara, who wishes to revive the Goddess to bring about all sorts of goodness to the world. This wouldn’t be much of a game without a main villain, so the higher ups at the Dorfa Corporation fulfill the villain quota. They want to acquire the Furies so they can resurrect the Vile God for their own personal desires. And thus Fang and Tiara, along with their respective Fairies, venture out on this Fury gathering adventure, making new allies and enemies along the way as the mystery of how to revive the Goddess unravels. The town where Fang had his initial run in with the law serves as a home base in between outings to search for Furies. This is where a lot of scenes take place that drive the story forward or provide background information on the characters, including some ridiculous cutscenes that are intended primarily for comic relief. These are the scenes where the female party members pick on Fang for his uncouth ways and swoon over Sherman, much to Fang’s annoyance. Some of the humor is on the juvenile side and there is some mild sexual humor, including a bathhouse discussion where a couple of the female party members argue over which one of them has greater chesticular endowments. It is not the greatest comedy writing seen in a video game, but it does lighten the tone and provide some amusement. 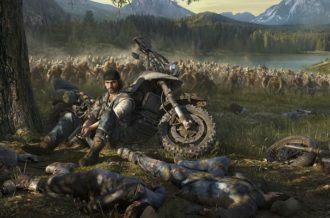 New areas to explore are unlocked on the world map as the story progresses, and each one is filled with a variety of creatures that want to kill Fang and his companions. There are no random battles; every enemy creature is visible and it is possible to avoid or at least get a preemptive strike on most of them. Battles are fought in a turn based system with a lot of area of effect attacks so proximity to enemy or ally does factor in to what action may be taken in a turn. 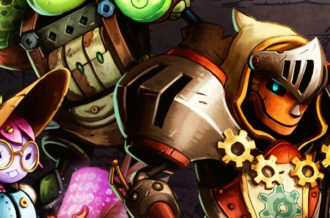 The battle system is involved enough where it allows combat to be engaging and while it is patterned after the RPG standard formula it is unique enough where it does not the feel generic. The downside is in later areas the battles start to feel like a chore because they end up being rather time consuming. The options are to slug it out with regular attacks which takes quite a while or use special attacks or magic to speed things up, which can run through your SP restoring items very quickly. Thankfully because the monsters are visible prior to battle, unwanted battles can usually be avoided and the level grinding can be made up later by doing some side quests. Powering up the characters is done through a combination of the traditional experience points and level up system along with the more hands on WP system. WP are awarded after every battle and are spent on various attributes of each character. These can be used to increase basic stats like physical attack or magic defense, or more specific traits. 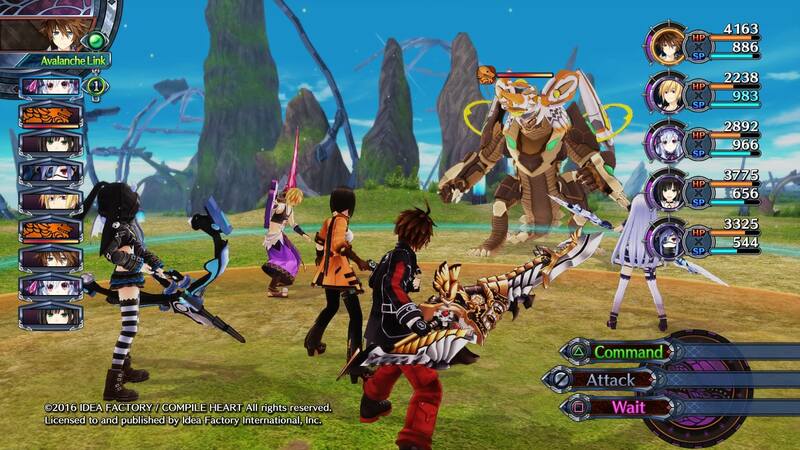 Each character has special skills and magic spells that can be unlocked, along with different basic attacks that are used in stringing combos together in a battle. 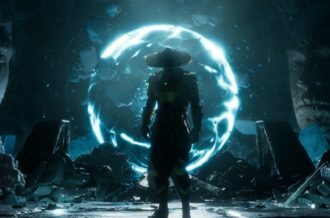 While it requires a lot of a restraint and patience, saving up enough WP to unlock all levels of the combo meter is a valuable investment if a character is being built to be played like a warrior class. Collected Furies can be used to assist in leveling up characters. By using the World Shaping command, a fury can be used in an area to alter battle for the duration of it being in place. This can increase or decrease damage received which applies to both friend and foe, or alter the amount of experience, WP, or money accumulated. Different Furies have different World Shaping effects so this feature can be used to assist with whatever the specific goal the player might have at the time. One of the more unique aspects of the battle system is the way Fairies can assist their Fencer through a process known as Fairize (not Fair Rice). 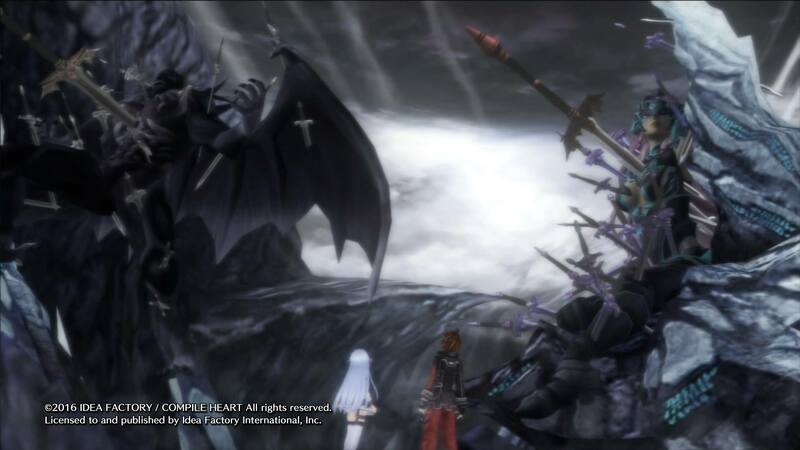 When the Fairize command is triggered, a cutscene happens where the character’s Fury ends up impaling the character, making them don some Voltron inspired get up which increases their power and unlocks special attacks. This might be a JRPG trope that somehow flew under my radar, since this is the second game I reviewed where such a thing happens. In fairness, the original Fairy Fencer F was released before the other game, and I am sure if there are other games where this is a thing the comments section will not disappoint me in pointing out numerous examples of my ignorance. I like both games so I am highly encouraging this actually. The Fairize special attacks do have a high cost of usage in terms of both HP and SP but the ridiculously high damage potential they have make it a worthwhile expenditure. 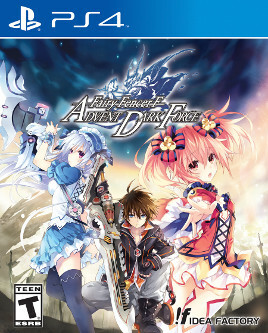 Fairy Fencer F: Advent Dark Force looks like a high quality PS3 game, which fits considering it’s enhanced port of a PS3 game simply titled Fairy Fencer F. Besides adding more words to the title, many other tweaks have been made to the original since “Now featuring more words!” is never seen as a selling point for a re-release of any game. 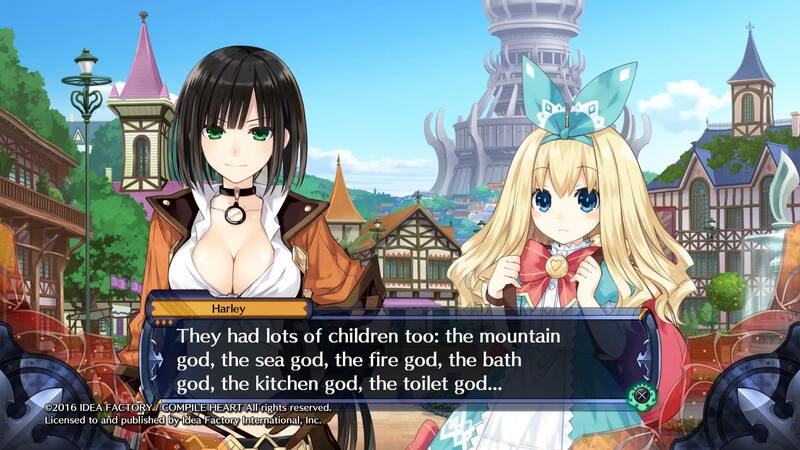 The original story is now referred to as the Goddess story, and depending on choices the player makes it can diverge in the Vile God story or the Evil Goddess story. There are more available player characters along with an increase in special moves. Certain enemy characters can now become allies and there are three different difficulty levels. Most notable is that in the original the party consists of three characters and that number is increased to six in this new version. The trade off with the increase of party size means that the enemies are now stronger. Unfortunately, the increase in party size does not mean Andrew WK is now a playable character, or if he is he was not found during the review playthrough. For those that played the original and enjoyed it the additions seem like they would make the experience new enough that revisiting this title through this version would be worthwhile. While not a household name in the world of RPGs, Fairy Fencer F: Advent Dark Force did have some high profile talent working on it. Yoshitaka Amano was the art designer which if you’re thinking that the character designs look similar to some other titles from a publisher known for RPGs that is the reason why. The music was handled by a number of different composers but the name that stands out among them is Nobuo Uematsu. Being a long time fan of his compositions I was initially disappointed when I saw that he only contributed a couple pieces to the soundtrack, but that soon subsided during the review playthrough because the other composers for the game may not have Uematsu’s name recognition they were more than capable of creating a memorable RPG soundtrack. 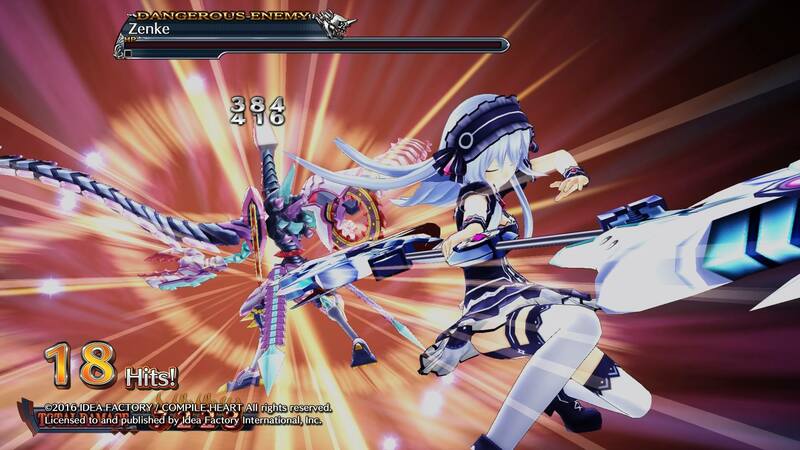 Fairy Fencer F: Advent Dark Force is an enjoyable, though not groundbreaking RPG. Its story is good and though not exactly the most original concept, it is told in a way that can maintain the player’s interest. Its lighthearted and comedic tone does compliment the mildly dark main story and while the characters make the Seinfeld cast seem like well-adjusted individuals, the characters’ likability increases as the game progresses. Instead of being great individuals put on a pedestal by the creators, they are entertaining in their idiosyncratic behavior. It clearly does not take itself seriously, which is part of its charm. 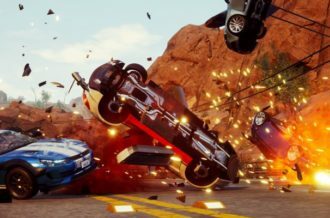 It relies on traditional RPG elements to feel familiar to fans of the genre but brings enough new material to keep it from feeling generic. The character building system with WP was surprisingly engaging and the Fairize command does add a fun component to battle. 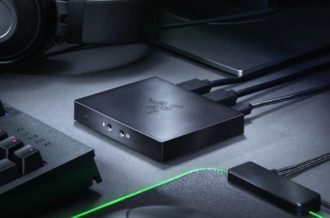 It doesn’t reach the level of greatness of say Chrono Trigger or Persona 4, but there is enough going for it where it is worthwhile experience for fans of the genre.